Ukall and Wezatele are 2 companies that have one thing in common, they are both start-ups that have been incubated at the Nailab and have scaled successfully. Both these startups are led by women – Ukall by Kate Kiguru and Wezatele by Hilda Moraa – who have understood the great potential of Kenya’s ICT industry. Over 30 startups have graduated from the Nailab’s space since its formation in 2011. 1 out of every 10 startups incubated at the hub is led by a lady. The Nailab (Nairobi Innovation Lab) will soon be opening up its application process, this is expected to happen by the end of March 2013. There is a big drive to get startups which will create women leaders in ICT. According to Josephine, this can be done through education – to bridge the knowledge gap on ICT opportunities, encouragement – to show that women can succeed in the industry much as their male counterparts and empowerment – allowing women to pursue opportunities in the industry through creation of robust ICT solutions. During its most recent demo event, the Nailab was promised government funding to the tune of $4.8 million up from $1.6 million. This would enable the incubation hub to better support the growth of startups in its program. Funding is a significant part to the success of growing businesses. Startups however form an uncertain investment for private equity firms and venture capitalists, funding is therefore a problem for most startups. If the government keeps it’s promise, and seeing what the Nailab has done so far we can only expect to see startups that could bring meaningful social and economic impacts. “Most investors are hesitant of investment in start-ups due to the high risk premiums. 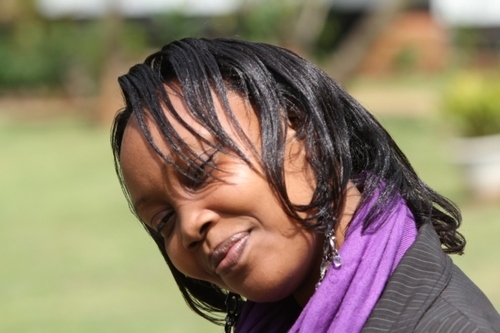 As such, there is plenty of room for angel investors, venture capitalists and private equity firms to venture into the market and support start-ups strongly,” says Josphine Mwangi.